SANTORO®’s Mirabelle is an elegant collection of beautiful and whimsical designs. This premium range of papers and embellishments are truly a delight to craft with. Our newest SANTORO®’s Mirabelle collection features 5 delightful new artworks across a range of premium papers, decoupage, clear stamps and embellishments. New items in this range include metal corners, stick pins, steel dies and an embossing folder. 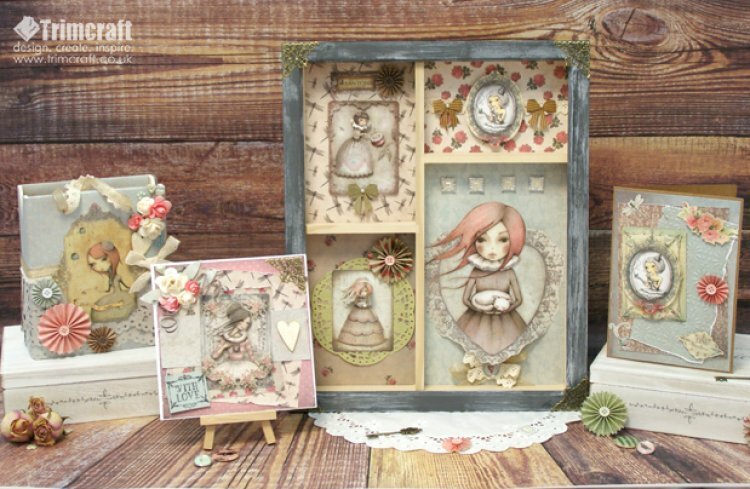 We know you will love crafting with the elegant and creative SANTORO® Mirabelle craft collection, available at all good Trimcraft stockists from the end of March. We are sure this beautiful range will inspire many lovely craft projects - please share your makes with us in the Project Gallery.